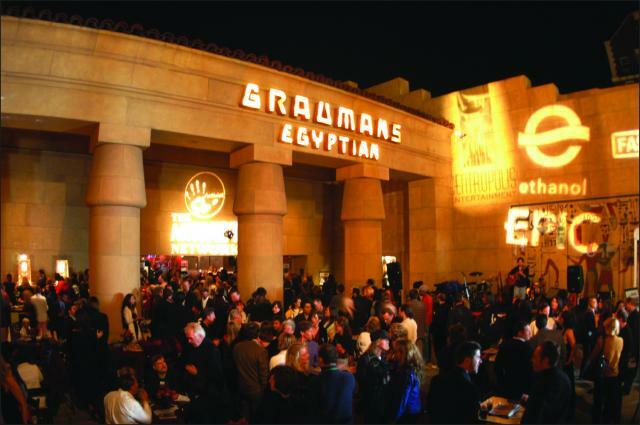 The 7th Annual Artivist Film Festival has successfully concluded its run at the Egyptian Theater in Hollywood. The festival concluded with The 2010 Artivist Awards on Saturday, December 4. 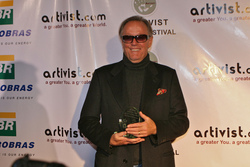 Actor Peter Fonda accepted the Artivist Award for Lifetime Achievement in Arts and Advocacy. The Artivist Awards were co-hosted by Vanessa A. Williams (“Soul Food,” “The Cosby Show,” “Melrose Place”) and Boris Kodjoe (“Soul Food, “Undercovers”). The festival concluded with The 2010 Artivist Awards on Saturday, December 4. In addition to the winning films listed below, actor Peter Fonda accepted the Artivist Award for Lifetime Achievement in Arts and Advocacy, Barbara Pyle received the award for Environmental Humanitarianism, and Avis Richards received the award for Community Advocate. The Artivist Awards were co-hosted by Vanessa A. Williams (“Soul Food,” “The Cosby Show,” “Melrose Place”) and Boris Kodjoe (“Soul Food, “Undercovers”). The event featured celebrity presenters including Frances Fisher, Nicole Ari Parker, Esai Morales, Jonathan Morgan Heit, Annabelle Gurwitch, Leigh Taylor Young, plus Johnnie, and Duncan Penn stars and creators of MTV’s “The Burried Life” and more. Numerous NGO’s participated in the event including the California Association of Student Councils, the Courage Campaign, Rock The Vote, the Drug Policy Alliance, Law Enforcement Against Prohibition, the Democracy Council, the SWF International, the UCLA Center for African Studies, In Defense of Animals, PETA, Voice For the Animals, the Hemp Industry Association, Audubon L.A., The Children's Nature Institute, Children and Nature Network, Earthways Foundation, the Sierra Club, The Wildwoods Foundation, ASK - Africa Schools of Kenya, the Department of History UCSB, and the Coalition for a Sustainable Africa. Additionally the 7th Annual Artivist Film Festival was given an official commendation by the Los Angeles City Council by the office of Council member Tom LaBonge. The Artivist Film Festival takes the show on the road this week with a run at the Tribeca Film Center in New York City from December 9 – 12. The schedule for the NYC festival is at http://www.artivist.com/festival/program/NYC_Program.pdf and tickets can be reserved at http://artivistfilmfestival-nyc.eventbrite.com/. 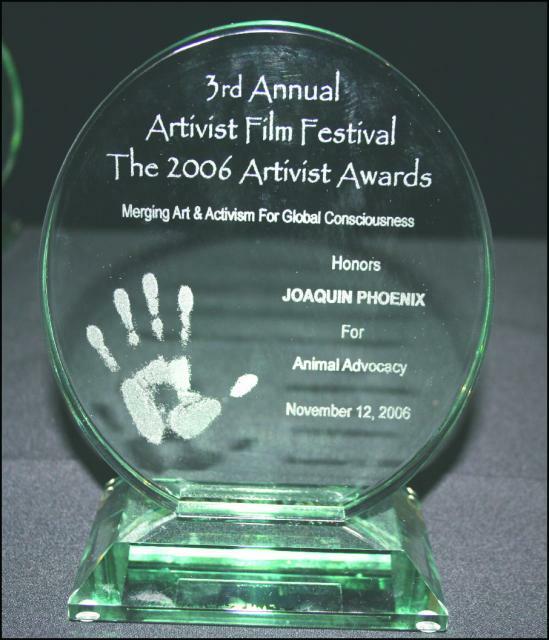 ARTIVIST is the first film festival dedicated to raising awareness for international Human Rights, Children's Advocacy, Environmental Preservation, and the Humane Treatment of Animals. Since its inception in 2003, the Artivist Film Festival has screened more than 400 films representing 65 countries around the world. Artivist has reached millions of people through its campaigns, festivals in the USA, UK, Japan, Mexico, and Portugal, and their website at http://www.Artivist.com. Additionally, in recognition of the socially conscious platform it provides, Artivist has been endorsed by the UNITED NATIONS Department of Public Information. Best Short International Human Rights - Mine: Story of a Sacred Mountain - Survival Int. This year, Artivist proudly welcomes back Petrobras as its Official Community Partner. Since 2007, Petrobras has supported the efforts and growth of the international Artivist Organization. Understanding the interdependence between humanity, animals, and the environment is crucial in our global community. By working with individuals and groups, organizations and corporations, we can create long-term solutions to our global problems. Petrobras, a Brazilian energy company, has a 30 year history of producing and using ethanol from sugar cane as fuel for vehicles, and is now committed to increasing the production and exports of ethanol. At their new research center, scientists are looking for ways to produce ethanol from farming byproducts, which can increase production without the need for more farming land. Petrobras is the largest funder of Cultural Arts Programs in Brazil, and a partner of hundreds of social projects specially focused on reducing poverty and creating opportunities for children and teenagers living in some of the poorest neighborhoods in Brazil. As the only company in the oil & gas sector that is part of the Global Compact Board of the United Nations, Petrobras commits its corporate governance to the 10 principles set forth by the UN. In 2010, selected projects received 45 million dollars to help protect endangered species like sea turtles, spinners dolphins and the manatee, as well as initiatives on carbon capture, water protection, biodiversity, and climate change. Artivist is a 501c3 nonprofit organization. All proceeds benefit the Artivist Film Festival Tours and year-round programs dedicated towards creating platforms for socially conscious "Artivists" to share their inspirational and informative films with the world.